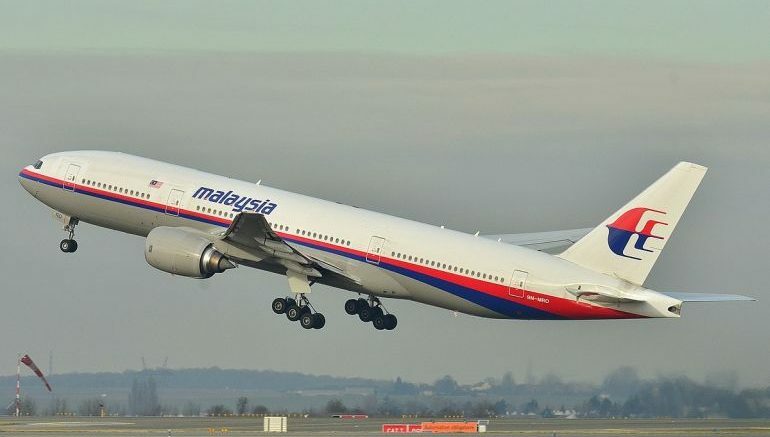 How can an aircraft of the size of the Boeing 777 simply disappear without leaving a trace, as happened with the plane of Malaysia Airlines that disappeared on Saturday, 8th March 2014? The model has an excellent safety record and is equipped with several electronic devices to communicate to the control on Earth where the aircraft is located. Although the aircraft had faced serious problems, this should leave clues. If all the engines fail at the same time, the pilot should still be able to glide for more than 100 kilometers, with enough time to send a request for help over the radio. And you could see the descent of the plane through the radar. The absence of an emergency call also suggests that it should not have been a hijacking. Pilots can send special emergency codes if someone tries to break into the control cabin. “There is a system called a transponder on the aircraft, which allows the pilot to be able to send a series of four numbers that indicate that you have an emergency, so that when something goes wrong, the pilot should know immediately that there is a problem, but this does not seem to have happened in the case of the MH370 flight,” explains Landells, who has extensive experience in piloting Boeing 777. If there had been a sudden depressurization in the cabin, because of a broken window, for example, the crew could dive the plane to reduce altitude, but the plane should not disintegrate. The fact that he suddenly disappears from the radar suggests a sudden catastrophic failure in mid-air. But it will be difficult to know what happened until they find the aircraft or its wreckage. The problem is that the passage of time makes this more and more difficult. “Along with the black box of the airplane (which records information and flight communication) there is a device that emits a radio signal that can be detected underwater for 30 days or, in the case of warmer waters, for up to 40 days,” said David Gleave, chief investigator at Aviation Safety Investigations. The situation initially generated comparisons with another incident, the crash of Air France’s 447 flight, which made the route between Rio de Janeiro and Paris in June 2009. The Airbus A330 disappeared when it flew over the Atlantic Ocean and it took years for the investigators to find all the parts and find out exactly what happened. Now it may take months or years to solve the mystery of Malaysia Airlines Flight 370. If the plane really fell into the sea, most of the fuselage must have sunk, but still at least some parts should float. But as time goes by, the winds and tides can spread this debris over a vast area, making it even more difficult to locate the aircraft. Malaysia Airlines’ Boeing 777 is not the first plane to disappear without leaving any obvious trace, but this is an extremely rare situation. “This is simply not the case,” said David Learmount, a security expert at Flightglobal, an organization specializing in the analysis of information and data related to the aviation industry. Boeing describes the 777-200 model as “a superstar.” More than 1,000 units of the model have left their production line since the first flight in 1995 with only one fatal incident record after more than 5 million flights. That crash occurred in July 2013 in San Francisco, in the United States, after an Asiana Airlines flight from Seoul, South Korea, crashed into the landing. Three people were killed, one of them hit by a rescue vehicle. For British aviation expert Chris Yates, based on the information known, it is possible to narrow down the theories about what happened with the Malaysia Airlines plane to just two. “Problems related to atmospheric conditions can be safely disposed of as a cause,” Yates said in an article for the BBC. “There are different descriptions of the conditions of the moment, but there is a consensus that the plane was flying in almost perfect conditions,” he said. “That leaves only two main possibilities: catastrophic mechanical failure or an act of terrorism,” he noted. He says, however, that the last possibility is also dubious since no one has claimed a possible attack so far. The guest article was written by Evelyn Poindexter. She is a 39-year-old sales accountant from Yorkshire. Though she is not a professional writer, her hobby is to put together articles from time to time.